James Bond, the fictitious British spy created by Ian Fleming, has been the protagonist of more than 50 novels and more than 20 films since 1953, becoming a world-renowned icon in the process. The plot of Quantum of Solace (the22nd film in the Bond series, released in 2008) revolves around Bond’s attempts to prevent a group of powerful individuals from orchestrating a military coup in Bolivia and, with the aid of a corrupt Bolivian army general, taking control of the country’s water sources. While the movie received numerous reviews, it has not, to this point, been analyzed from an academic point of view. This is a mistake as the issue of control of water is certain to increase in importance in the near future. For Bolivia, and most other Latin American countries whose natural resources are increasingly vital sources of power, the message of Quantum of Solace is all too relevant. Similarly, when Quantum of Solace premiered, the Bolivian government protested. Bolivia Deputy Minister for Culture Pablo Groux said the film portrayed Bolivia as “a country of drug traffickers.” (5) Moreover, some scenes depicting Bolivia were actually filmed in Chile, which did not sit well with the Bolivian government. The Bolivian deputy minister argued that his country has perfect landscapes for filming a movie, and that the producers should not have hired Chilean citizens to pass as Bolivians. (6) It is important to remember that La Paz and Santiago have had tense relations since the 19th century War of the Pacific, from which Chile emerged victorious and Bolivia lost its coastal territories and become a landlocked country. In Quantum of Solace, a shadowy organization wants to gain control of massive water resources in Bolivia, putting the country in an ideal position to set prices for access to water for both the Bolivian population and international consumers. In reality, the struggle for control of natural resources throughout Latin America, particularly in Bolivia but also in other countries, has already begun. Another relevant part of the plot is that Bond has to prevent an exiled, corrupt Bolivian general from staging a military coup—assisted by foreign powers—to overthrow the government in La Paz. Unfortunately, the real Bolivia does indeed have a long and complicated history of military coups. 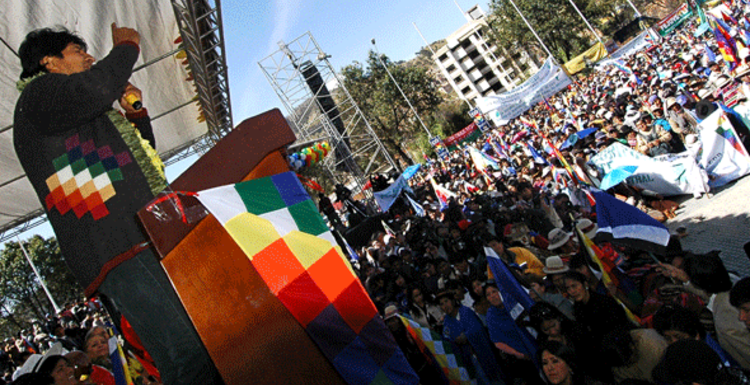 In fact, regime changes have continued to occur in Bolivia and throughout the region over the last decade. Finally, in the movie, the villains comprise a varied group of powerful individuals, including a rich “environmentalist” who supports the coup because he wants to buy a seemingly barren portion of Bolivian desert from the corrupt military officer. If successful, his company would gain control over Bolivia’s sole water utility. This raises the question of how international companies are regarded in Latin America today. In other words, the process of water privatization that transpired in Bolivia in 2000 is eerily similar to the premise of Quantum of Solace. 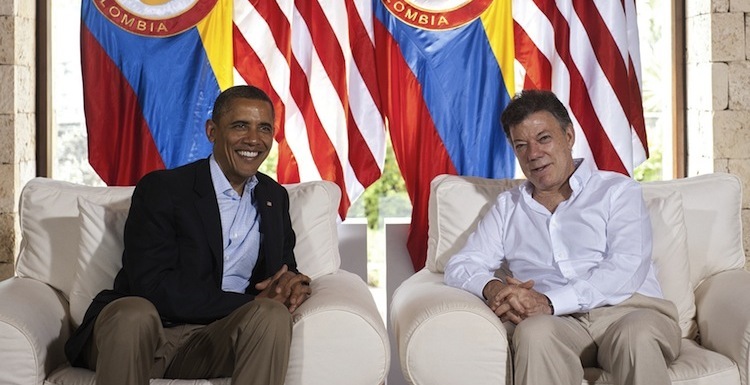 Tensions regarding proprietorship of water have also appeared in Colombia. According to the Colombian project of the Interamerican Association for Environmental Defense (AIDA), Greystar Resources Ltd. of Canada had planned to build an open-pit mine (for gold and silver) in Angostura, the heart of Colombia’s Santurban wilderness of high-altitude forests and wetlands called paramos. (13) Colombia’s Ministry of Environment, however, denied Greystar’s environmental license application in May 2011. For the time being, this means that the forests and wetlands are safe. In addition, regarding the potential for a military coup in Bolivia in the film, it is true that the Andean nation has a troubled history of civilian and military coups. Indeed, the country has suffered numerous military overthrows since the 1960s. Among some of the most notable coups in Bolivia are those that occurred in 1964, led by Vice President Rene Barrientos; in 1971, led by Colonel Hugo Banzer Suarez; and in 1980, led by General Luis Garcia. At variance with the corporation portrayed in the Bond film, not all firms pursuing resource extraction projects have dishonorable intentions. However, many of the populations of communities where multinational corporations operate feel that their local resources are being drained for someone else’s profit. 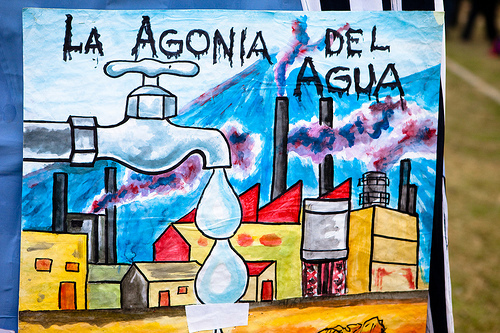 For example, the 2000 Water Wars in Bolivia saw the population of Cochabamba pitted against Aguas del Tunari, which had hiked up the price of water exponentially after receiving proprietary recognition from La Paz. Furthermore, there are ongoing concerns regarding resource extraction, such as the threat of pollution—or all-out destruction—of the environment and the way of life of local populations. In order to counter Newmont’s bad publicity in Peru, Roque Benavides, the president of a partnering company, has tried to improve the company’s image among the inhabitants of Cajamarca where the Conga project is located. He recently said, “A social disaster destroys share price. … Let’s say I have interest in the shares continuing to grow, and we will not get into a project that goes against the company and that goes against my countrymen.” (26) Nevertheless, the Conga project remains highly unpopular among the population, and those who speak in favor of it are ostracized. In mid-May, former Peruvian President Alejandro Toledo was scheduled to give a conference in Cajamarca, but was unable to do so because of his declarations in favor of the Conga project, which prompted protesters to throw trash on the streets where the conference was to be held. The former head of state was even impeded from getting out of his car. (27) Toledo eventually returned to his hotel in the northern city and the conference was cancelled. Hollywood has become a growing source of inspiration for analyses by IR scholars due to the plausible plots that are being used by screenwriters. Quantum of Solace portrays powerful individuals attempting to carry out a regime change in Bolivia in exchange for control over the country’s water resources. While such plans are not as ambitious as those carried out by other Bond villains, they reflect a reality seen in many parts of Latin America. The type of villains in the latest Bond movie may not be as ambitious as the ones in previous films, but both regime change and control (and the protection) of vital natural sources are real issues in Latin America. Undoubtedly, Hollywood will continue to produce big-budget films starring superheroes with marvelous powers, a stretch of the imagination for the time being. But when it comes to the struggle for control, and protection, of profitable natural resources − be they gold, oil, or something as common as water− these plots reflect real social and political tensions, as IR scholars and experts well know. ← Will Gutting Honduras’ Police Force Get to the Root of Corruption? 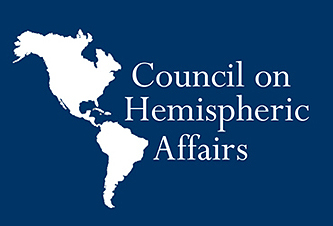 September 5, 2014 COHA Comments Off on Fall Delegation to Bolivia: Presidential Election October 12, 2014. Food Sovereignty and Indigenous Resistance!